I've had a good deckbuilding session tonight based on your feedback. I've added in Animate Dead , Mikaeus, the Unhallowed , and Forsake the Worldly . I must not have been paying attention, because Mikey definitely pulls his weight in the deck. Thanks again for the suggestions. 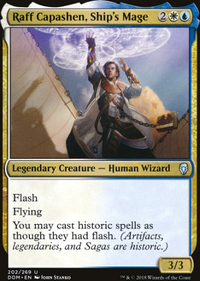 I'll be keeping an eye out for other underperformers so I can try out Gray Merchant of Asphodel . He has a higher potential ceiling than Kokusho, the Evening Star , (and doesn't depend on a sac outlet) but for now I like Kokusho for consistently draining 5 life per opponent. The thing about going the hatebears route is that it is adjusted to your meta, how is your meta been like? I would also say going heavy in the Sunforger route would be great. Including cards like Wear / Tear , Chaos Warp , Oblation , Forsake the Worldly , Teferi's Protection , Tithe , Comeuppance , Faith's Reward , Lapse of Certainty , Rebuff the Wicked , Ghostway , and Eerie Interlude . Hope that gives you some ideas you can toy around with! 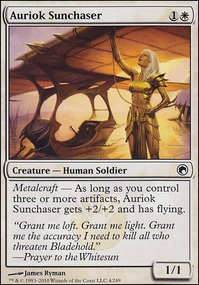 You can definitely add in more cards for the sunforger package. Just to name a few, hope that helps! My best friend plays a mean Aurelia deck, so here might be some cards you can consider for a sunforger package! Also some additional cards you can use that might help would be Steelshaper's Gift , Open the Armory , as well as Enlightened Tutor ! You can try using more spot removal or disruption if your having a hard time in your meta. 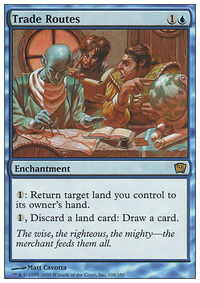 Maybe cards like Hour of Revelation or Tragic Arrogance would be able to help you out. If worse comes to worse if your meta is not adverse to MLD, you can use the Armageddon + Faith's Reward combo. 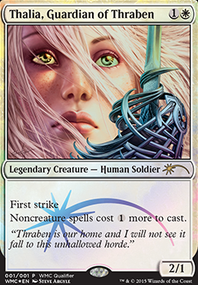 As what xaarvaxus says, Teferi's Protection is a great card which you can use with Armageddon / Ravages of War as well. 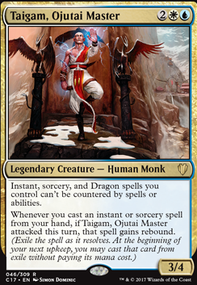 Silence and Orim's Chant are also some great tech cards for stalling and protecting your turns as well. Targeted spot removal might also be a thing you can try check out as well with cards like Fragmentize , Disenchant , Forsake the Worldly , or Return to Dust . Cyclonic Rift - I'm trying to find a spot for it. Forsake the Worldly and Return to Dust are not too much of an impact to this deck I think...but still I think the second one is tempting to put it in. I really want to make it "all phyrexia" but don't want to put random cards from this block only for the sake of flavor - but still - I've added Preators for example only to hardcast them with Defense of the Heart and the flavor aspect. Superfriends build is not my goal - I've done this in my slivers deck couple of years ago. Stax is imho difficult to pair with infect because it's slowing you down too much. 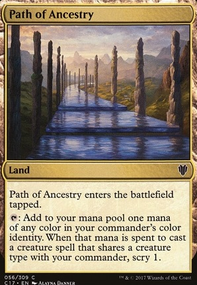 I would like this deck to be some kind of toolbox because I will be playing with new and much larger playgroup soon. TheErebos No worries I just actually finished playing at my LGS for commander night haha! And I totally understand Daretti combo, my friend actually used to play that for awhile before he retired that deck. Hmmm, is there a reason why you aren't running Cyclonic Rift? Forsake the Worldly and Return to Dust are other ways that can potentially get rid of those pesky things as well.